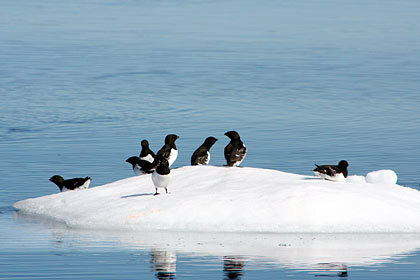 Little Auks in Rosenvinges Bugt. 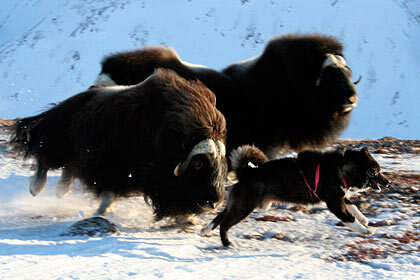 An angry musk ox is chasing the sleddog "Abe" at Dom Brava , Hurry Fjord. 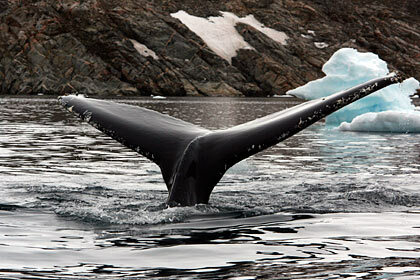 Humpbackwhale outside Ittoqqortoormiit - a very seldom sight at this latitude! 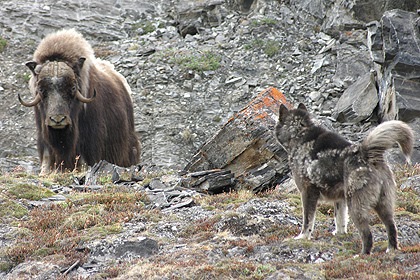 Sleddog and a surprised musk ox . 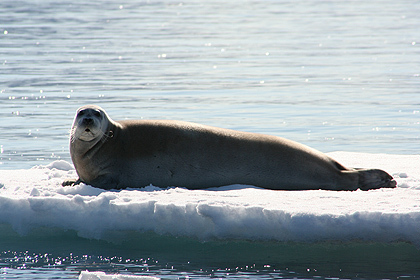 Bearded seal on drifting ice in the Scoresby Sund Fjordsystem . 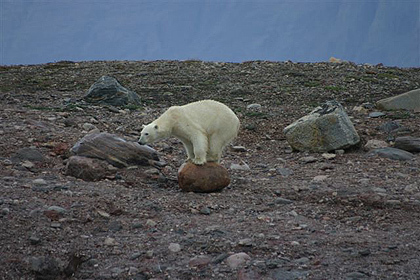 A Polar bear on the rock ! 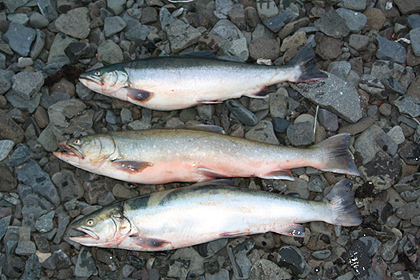 Arctic char is guaranteed the most tasty fish worldwide and can be caught several places in our area. 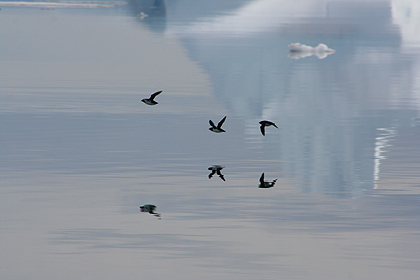 Little auks in Rosenvinges bugt , just in front of Ittoqqortoormiit. 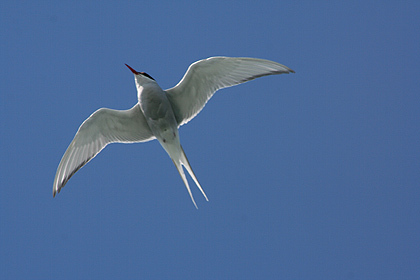 The blackheaded gull is a common sight in the sea-region around Ittoqqortoormiit. 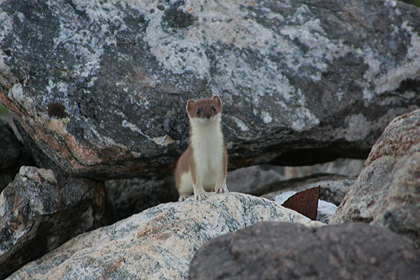 The stoat is present year around in the Ittoqqortoormiit area , but some years it is more common than others . 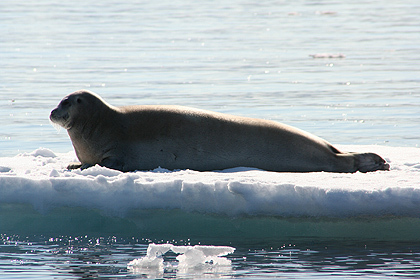 It is a fast little creature and is often difficult to find - or photograph ! 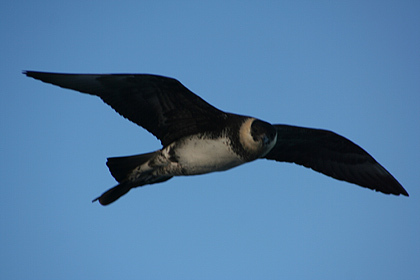 The long-tailed skua is a common sight at the open water polonia at Kap Tobin . The ptarmigan is like the stoat : some years we see hundreds and some years we dont see any. 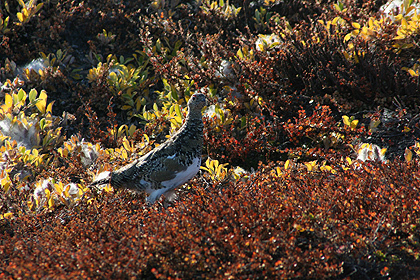 Ptarmigan camouflages itself after the season and is often difficult to see . 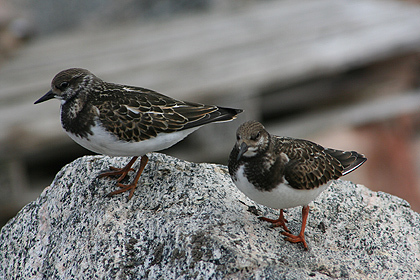 Ptarmigan is a very popular delicatess in Ittoqqortoormiit and in Greenland in general . 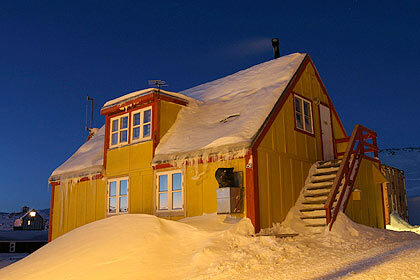 The wheatears are very common during summertime in Ittoqqortoormiit . 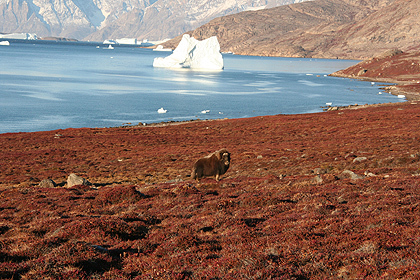 Musk ox in the Scoresby Sund fjordsystem . 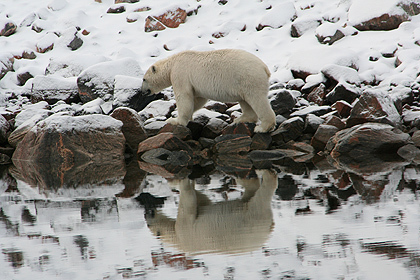 Polar bear in Amdrup havn in the fall. 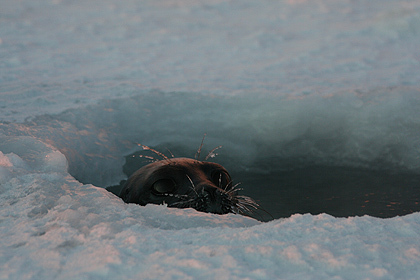 A Greenland seal is gazing up through its breathing hole in the ice . 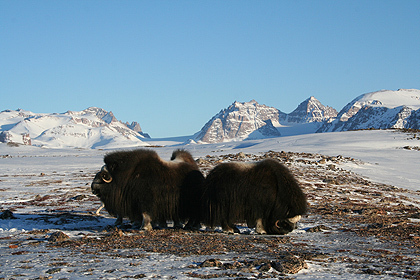 Musk oxen at Dom Brava . 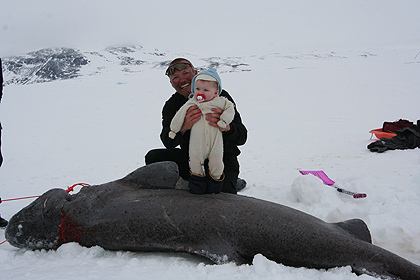 Martin and Freja caught a Greenland shark . 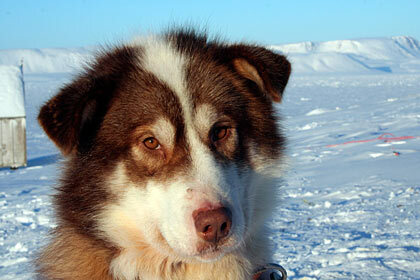 Shark is excellent dogfood and can -if dried -also be eaten by human . 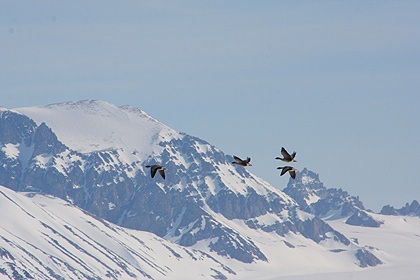 A small flock of geese is flying over Ittoqqortoormiit.Sometimes a flock can contain hundreds of geese . 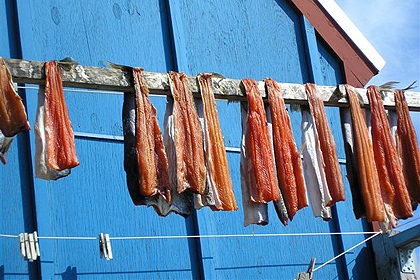 Arctic char hanging outside to dry.